The Brembo Group has inaugurated its new production hub in Nanjing, China, which will manufacture aluminum brake calipers. Brembo has operated in the Chinese market for nearly 20 years, and this new hub is located next to its existing brake disc manufacturing plant. The plant measures almost 40,000 square meters and was built according to what Brembo describes as “the most progressive criteria” to guarantee quality, efficiency and environmental protection, with an eye to minimizing waste and maximizing energy recovery by applying the strictest regulations imposed by the Carbon Disclosure Project protocol. Brembo entered China in 2001 with the formation of its first joint venture. In 2008, the company acquired the majority shares of Brembo (Nanjing) Brake Systems, gradually reaching 100% control in 2013. In 2009, the logistics Aftermarket hub was established in Qingdao.In 2016, Brembo joined the Brembo Huilian (Langfang) Brake Systems joint venture as a majority holder with its partner, SASAC. • Brembo (Nanjing) Brake Systems incorporated Brembo (Nanjing) Foundry in 2017. The company specializes in the development, production and sales of original equipment brake discs for the automotive market, and braking systems for cars and commercial vehicles. 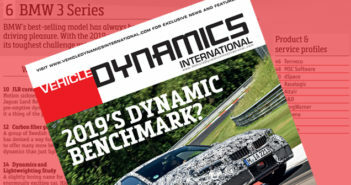 In 2018, the company recorded sales of €159 million and had 632 employees at year-end. • Qingdao Brembo Trading was founded in 2009. The company carries out logistics and marketing activities in the company’s economic and technological development hub in Qingdao. In 2018, it achieved €35.26 million in revenue and at the end of the year it had 27 employees. 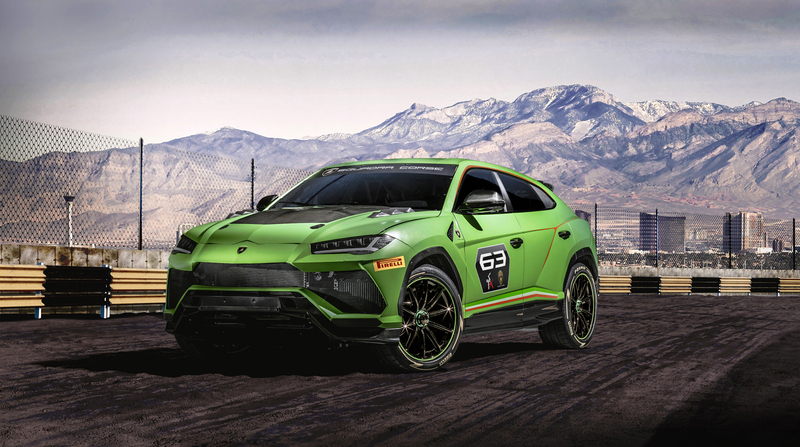 • In 2016, Brembo SpA acquired 66% of Brembo Huilian (Langfang) Brake System, a Chinese company that owns a foundry and a plant for machining cast iron brake discs, supplying automotive manufacturers throughout the region. The remaining 34% of the share capital will continue to be held by the public company Langfang Assets Operation under the authority of the Municipality of Langfang Cities. In 2018, it achieved €78.5 million in revenue and at the end of the year it had 670 employees. 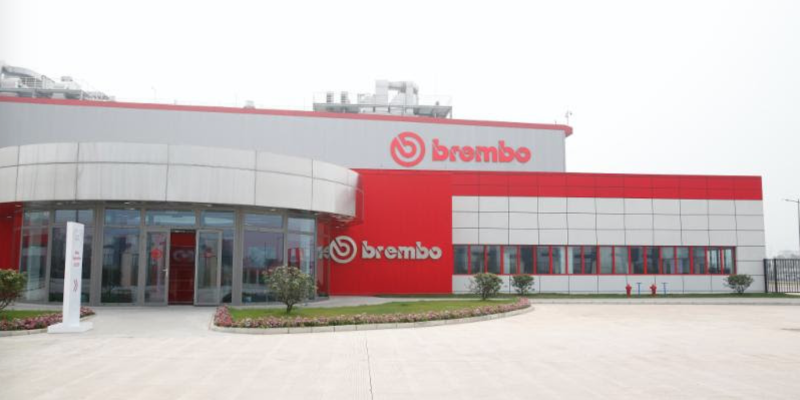 • In April 2016, Brembo announced the establishment of Brembo (Nanjing) Automotive Components,60% of which is owned by Brembo SpA and 40% by Brembo Brake India. The company handles the casting, machining, assembly and sales of braking systems for cars and commercial vehicles. In 2018, the company recorded a net revenue of €74.2 million. 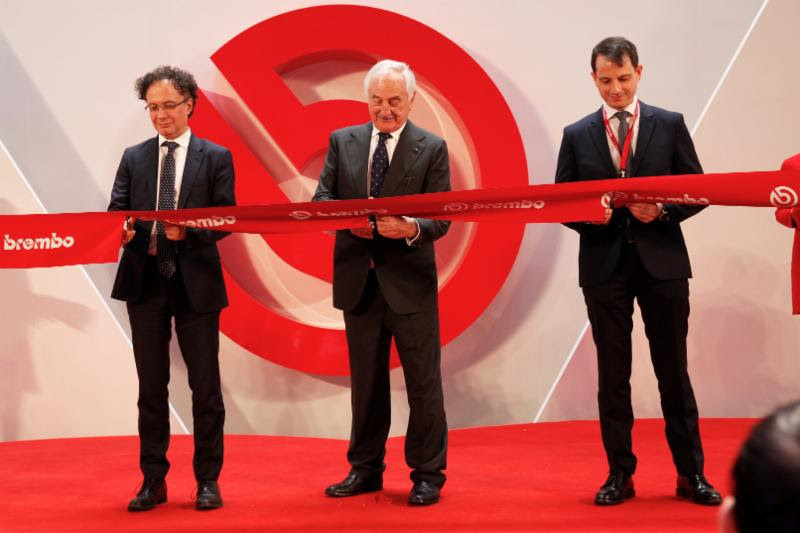 From left Michele Geraci, undersecretary for economic development of the Italian government; Alberto Bombassei, chairman of Brembo S.p.A; Stephane Rolland, chairman and CEO of Brembo China.